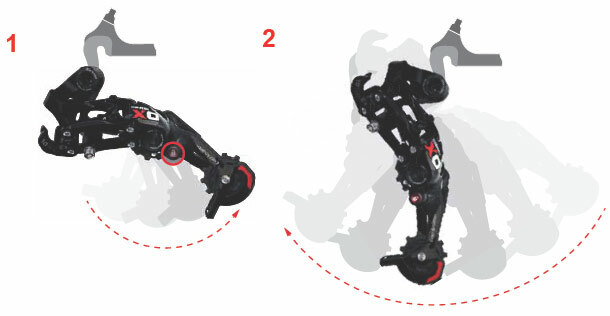 SRAM just announced details today on their new Type 2 rear derailleurs. They feature a bearing clutch and the primary purpose is to reduce chain slap and chain drops as well as allow for easier wheel removal. The clutch design is purported to be maintenance free. 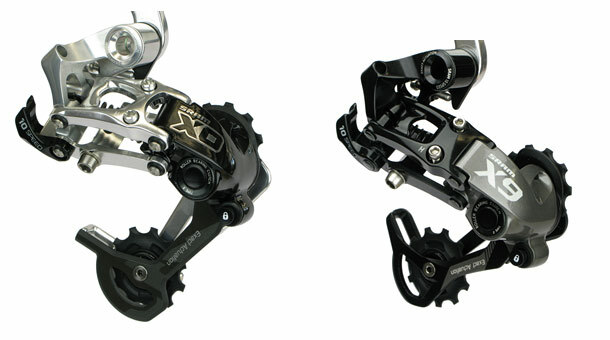 The idea is similar to the adjustable tension on Shimano’s Shadow rear derailleurs. 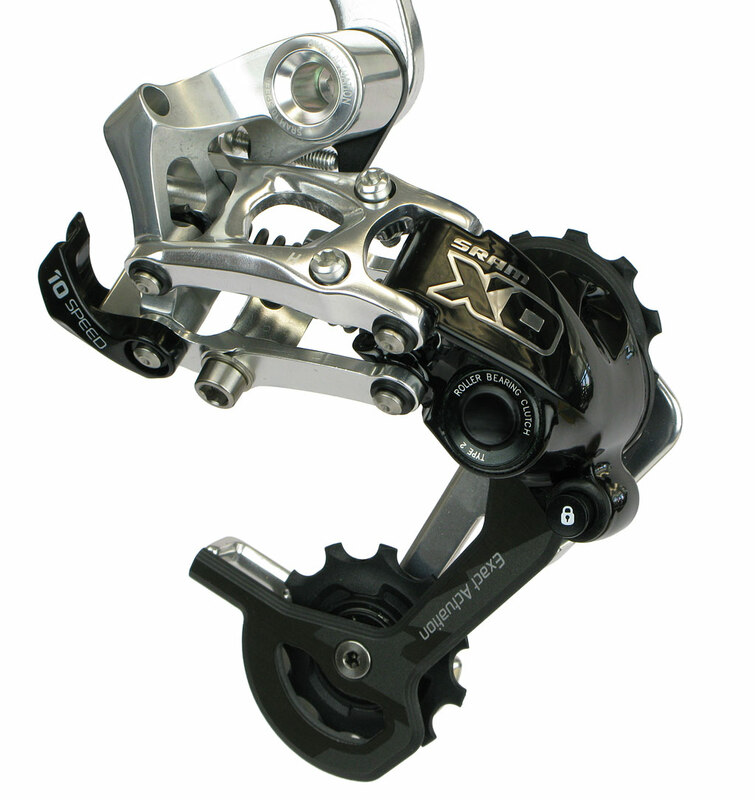 However, the SRAM creations feature a push button to lock the derailleur in a forward position. Images below and availability is slated for late summer. High speed RD damper. Easiest wheel removal. Fits on the bike you have now. RELENTLESS. Designed for X0 and X9 families, Type 2 rear derailleur delivers maximum drivetrain stability—even through the most punishing technical terrain. With Roller Bearing Clutch™ technology, SRAM Type 2 eliminates derailleur bounce and chain slap without sacrificing precision. The first rear derailleur of its kind, SRAM Type 2 lets you push your cage forward and lock it into place with the push of a button. This creates slack, removing all tension from the chain. With Cage Lock, Type 2 makes wheel removal and installation—as well as chain installation—easier than any other derailleur on earth. 1. Just push the cage forward—creating slack—and lock it in place. 2. The chain stays perfectly loose, letting the derailleur swing out of the way. When you’re ready to ride again, simply unlock the cage and go. July production. August retail availability. I knew this was comming should be sweet. 9 speed is Dead! 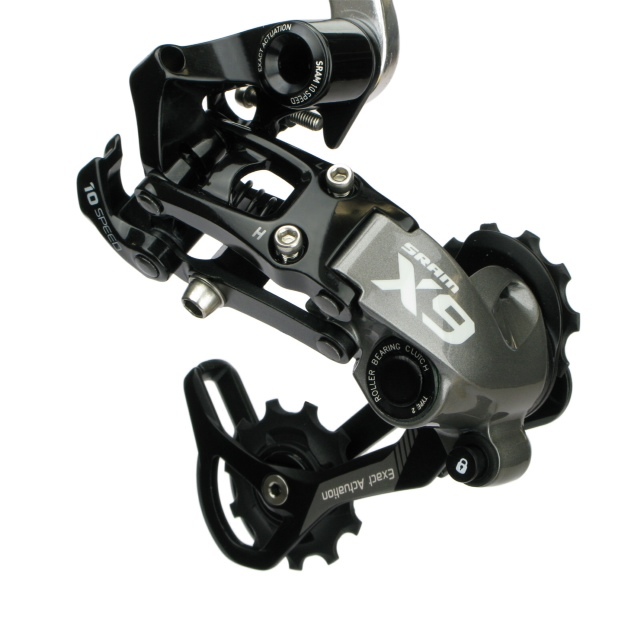 Like new XTR 9 speed any takers? Paper weights now! X-9 10sp type 2. Shifting fantastic. Lockout supreme. Works as good or better then 2x front guide. Less chain slap than e-thirteen single front on DH bike. Makes noise during rear suspension travel cause clutch resists giving chain. Hate noises. Shut up.